CollegeCompass is an independent and personalized university counseling service that strives to empower students to achieve their academic and career goals. As a mentoring service, CollegeCompass strongly believes in the educational value of the application journey itself, rather than sole emphasis on the coveted university destination. We focus on teaching students the skills pivotal to producing a compelling and competitive application, including effective essay brainstorming, critical self-evaluation and time management. Our approach preserves the authenticity of the student’s application, maximizes their chances of a successful application and most crucially, bolsters their autonomy to succeed in the undergraduate environment and any competitive selection process beyond. We currently cater to prospective undergraduates applying to the institutions in US, UK, Canada and Singapore. The college application processes tests many things outside the ability to make good grades and pursue leadership opportunities through ECAs. It breeds success for those students who are able to introspect, understand their strengths and reflect on their experiences to create a self image that they can confidently own and project. All this, while being able to manage multiple tasks on hand efficiently. Identify your strengths and understand your short-comings. Appreciate and express what your experiences and interests say about you. Be clear about who you are, and convey your unique personality in a compelling manner. Create a personalized game plan to help you meet your goals. 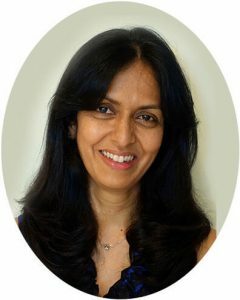 Madhu’s teaching and counseling experience dates back to her graduate years as a Mathematics instructor at The University of North Carolina, Chapel Hill. She also brings over 20 years of corporate leadership experience in the IT industry, having worked with various Fortune 500 companies in Asia Pacific. She has held senior positions in Research & Development, Product Development, Services and Sales, and played an instrumental role in employee recruitment and candidate evaluation throughout her career. 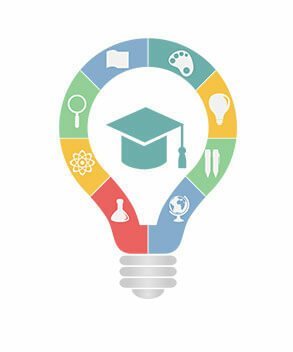 Her results-driven, detail-oriented skill set creates a structured platform on which undergraduate aspirants can excel. Having ushered her children through both the US and UK university application processes, she has a proven track record in admittance success. In personally mentoring dozens of students in the last 3 years, she has seen fantastic admissions success placing students in colleges like Carnegie Mellon, Cornell, Princeton, Boston University, Michigan Ann Arbor, UCLA, University of Illinois to name a few, along with several medical school entries into UK universities like Newcastle, Birmingham, Bristol, Sheffield and Nottingham. Fuelled by her passion to work with university aspirants, she is committed to making College Compass, the navigation tool for all future students looking at US, UK, Singapore or Canada as an undergraduate college destination. She holds a Masters in applied mathematics from the University of North Carolina, Chapel Hill. She also holds a PMP certification from the Project Management Institute, USA and an Accelerated Management certification from Indian School of Business, India.